There is something truly magical about baking during the Christmas season. I have very fond memories in the kitchen with my family during the holidays making all kinds of goodies. Cookies, fudge, peanut brittle, my favorite cinnamon roll and all kinds of candies and goodies to pass out to friends and family. 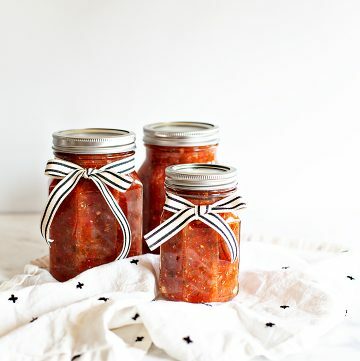 I loved to watch my parents in the kitchen working on these projects together. When I was little, my Dad never really spent a whole lot of time in the kitchen except for Christmas. That was the time of year he would join my Mom in the kitchen helping her make up the magical Christmas goodies and making up the scrumptious plates that would be whisked off to our loved ones. The years we made cinnamon rolls were some of my favorite. As I thought back on those memories, I thought it would be fun to make a centerpiece for our Christmas table out of cinnamon rolls. 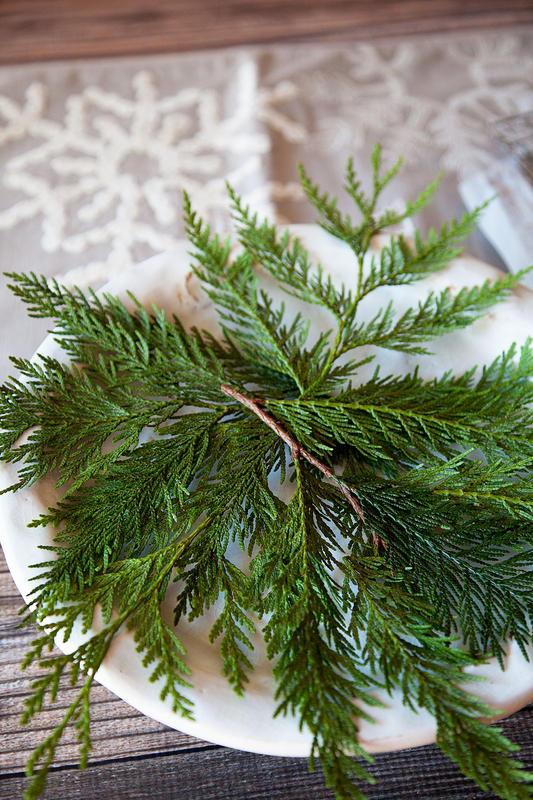 I mean really, that’s a perfect holiday centerpiece! I headed off to Walmart to get some inspiration and boy did I find it. 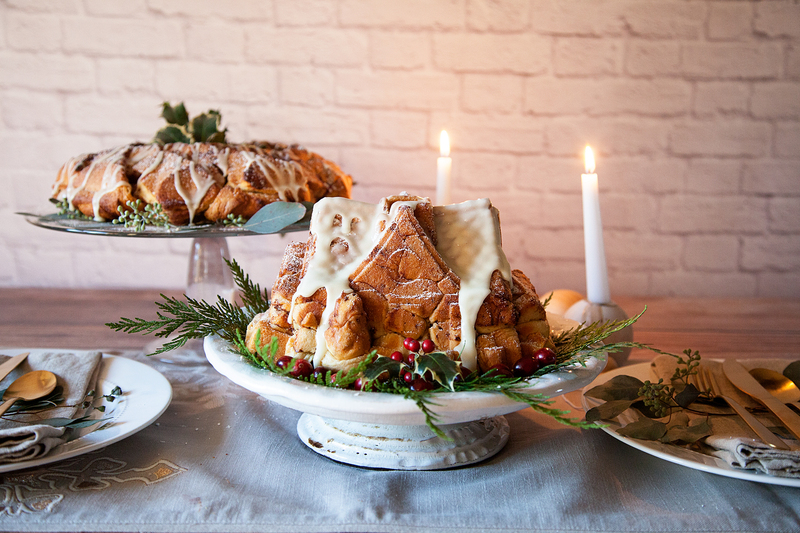 I found this fun Gingerbread House Bundt Pan and thought it would be great to make the house out of CINNAMON ROLLS! 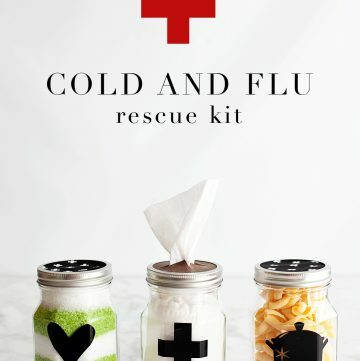 It would bring back those memories in the Christmas kitchen with my parents along with bringing in a new tradition with my kiddos. To make it even easier, I decided to make our cinnamon roll house with Pillsbury Grand Cinnamon Rolls. Super easy & tasty as well. I’m mean really, how fun is that? Spray your pan with non-stick cooking spray. 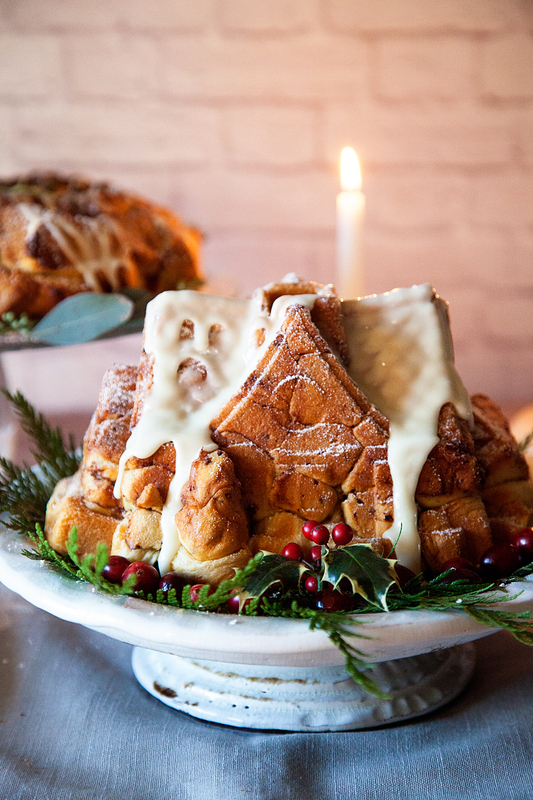 Layer your Pillsbury Grands Cinnamon Rolls in the gingerbread house pan. 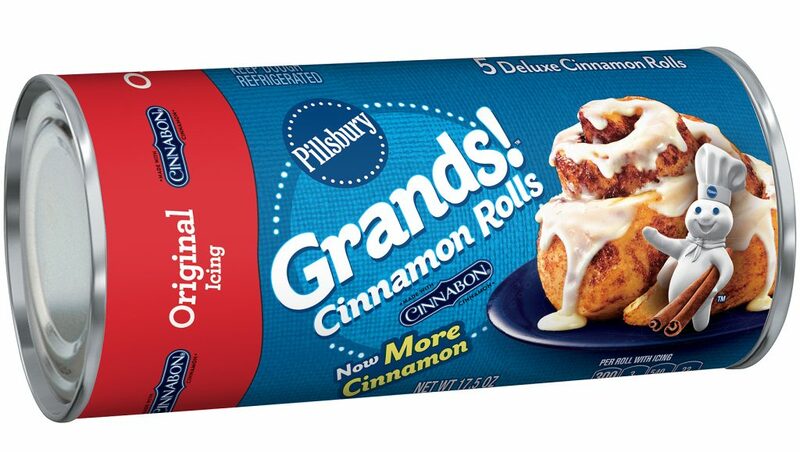 I used three cans of Pillsbury Grands Cinnamon Rolls Make sure to press it a bit into the nooks and crannies. Bake at 350˚ for 50-60 minutes. You may need to cover it with foil after about 30 minutes to avoid over browning on the bottom. Once it is baked all the way through (make sure to test with a cake tester), remove from the oven and let sit for 5 minutes and then turn out onto a cooling rack. I dressed mine up with holiday greenery, some cranberries, powdered sugar and then at the last minute thought I would try it with a drizzle of the icing on top. First, I laid down some of the greenery on a cake plate. Then I thought, you could either leave it like this with the powdered sugar, you could even decorate it with Royal Icing just like a gingerbread house OR, you could drizzle the icing that comes with the Pillsbury Grands Cinnamon Rolls on top of the roof. I love it BOTH ways! I decided it didn’t need the full Royal Icing treatment. I love the rustic look of the powdered sugar and/or the Pillsbury icing. 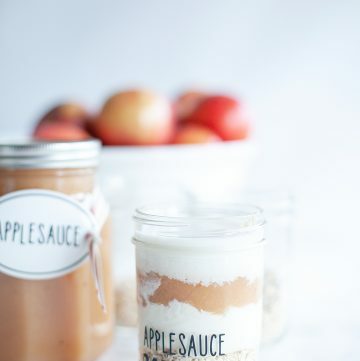 PLUS, it makes it so much easier to make and extra tasty as well. So, what do you think? 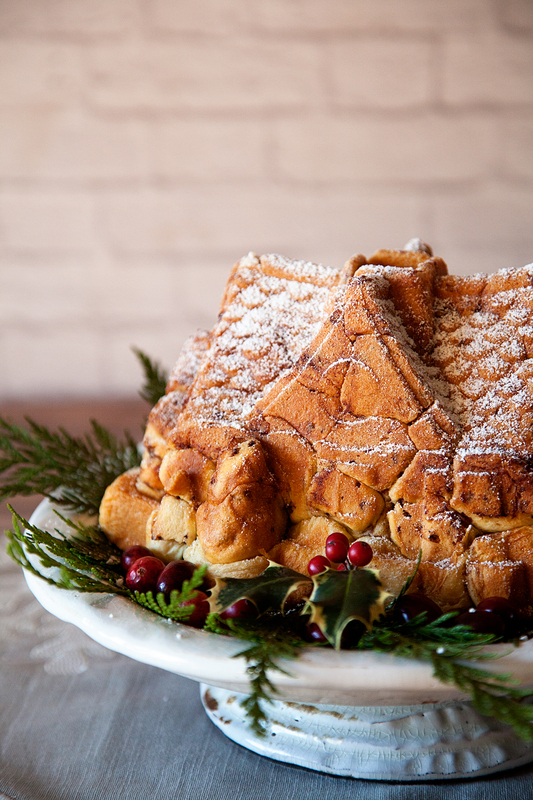 Are you inspired to make a Cinnamon Roll House for your Christmas table? Disclaimer // This is a Pillsbury sponsored post. All thoughts, ideas and opinions are my very own. Rest assured, I will never promote a brand that I don’t truly love and use in my every day life. 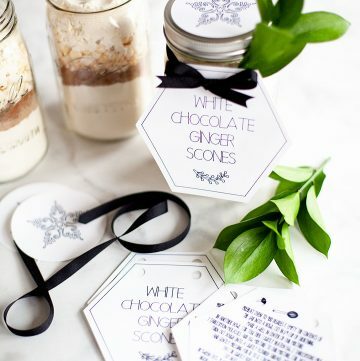 This is so rustic and pretty! Where can I find a pan? 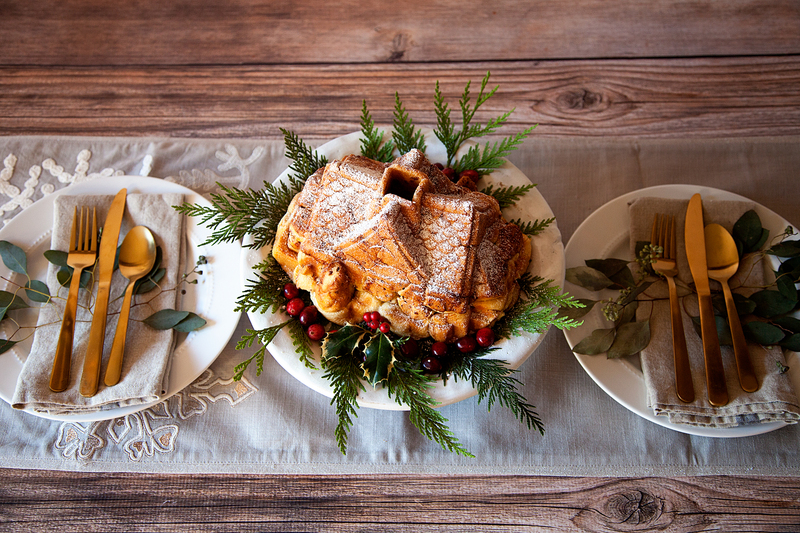 I would love to make this for my family for Christmas brunch!